On Jan. 1, it will become legal for adults 21 and older to buy and sell recreational marijuana in California. In anticipation, Bay Curious is answering a bunch of your questions about commercially available marijuana. Where will I be able to buy recreational marijuana on Jan. 1? Proposition 64, the ballot initiative that legalized recreational marijuana in 2016, gave cities and counties the power to decide whether adult-use marijuana could be available in their areas. 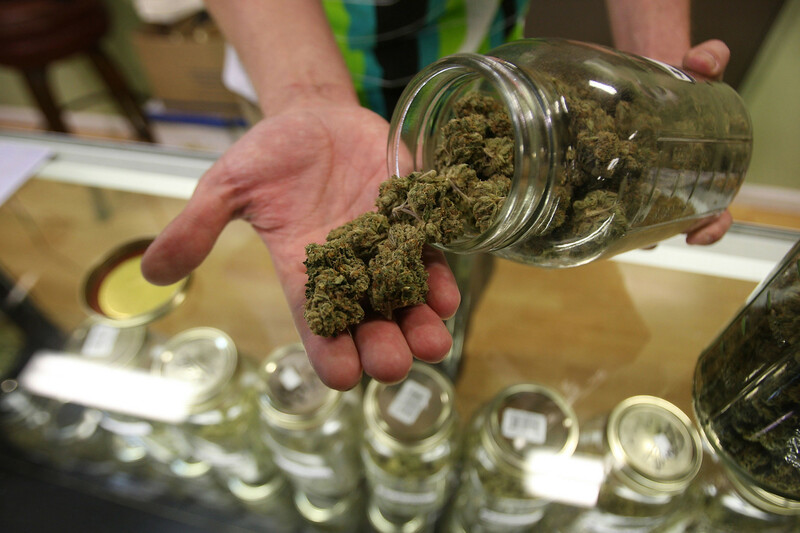 A number of municipalities have banned recreational sales. For those who have approved it, they still need to work out their own regulations and licensing processes -- meaning that some places won’t be ready to roll out right away. San Jose: 16 currently registered medical dispensaries will be allowed to sell recreationally on Jan. 1. Oakland: Any of the city’s licensed medical dispensaries will be able to sell recreationally on Jan. 1 with the proper state license. San Diego: 15 existing medical dispensaries and two new businesses are approved to sell recreationally on Jan. 1 with the proper state license. Sacramento: Any of the 30 existing medical dispensaries that complete permitting requirements will be able to sell recreationally on Jan. 1. 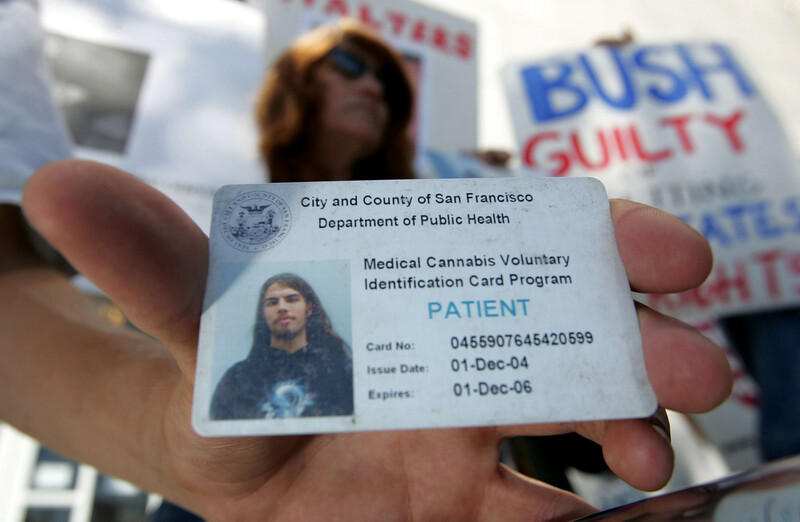 San Francisco: Businesses with necessary licenses can start operating on Jan. 6. Santa Rosa: The City Council passed final regulations this week, and businesses are expected to be able to start operating on Jan. 19. Los Angeles: Existing medical dispensaries will be able to start applying for adult use licenses on Jan. 1. Long Beach: A 180-day temporary ban on adult-use sales went into effect on Nov. 14. City officials are working on legislation that would allow for recreational sales by June 2018. Bakersfield: The City Council banned all commercial cannabis activities. Anaheim: The City Council banned all commercial cannabis activities. Will jobs that drug-test employees still screen for marijuana after it's been legalized? The rights and obligations of public and private employers to maintain a drug and alcohol free workplace or require an employer to permit or accommodate the use, consumption, possession, transfer, display, transportation, sale, or growth of cannabis in the workplace, or affect the ability of employers to have policies prohibiting the use of cannabis by employees and prospective employees, or prevent employers from complying with state or federal law. Before Proposition 64, the California Supreme Court upheld the right of companies to fire employees for using physician-recommended marijuana even when they are not working, so recreational users aren’t likely to get any better treatment. But there’s nothing that says companies have to drug-test, and many in California don’t. So check with your employer. I have a medical card from the department of public health. What changes for me? 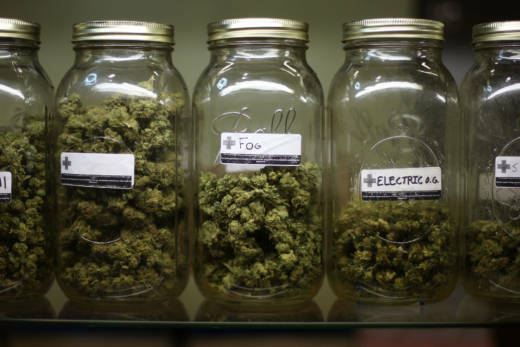 If you walk into a dispensary, you’ll notice some changes. Cannabis products will have to go through much more testing to ensure there are no harmful pesticides and that the edibles have an even distribution of THC. After Jan. 1, there will be a grace period where untested products can still be sold, but they must be labeled. The potency levels of edibles will also be capped, according to Greg Zeman, an associate editor at Cannabis Now Magazine. Some edibles currently contain as much as 1,000 milligrams per bar, but edibles sold in adult-use dispensaries will have to be capped at total strength of no more than 100 milligrams of THC and divided into clearly identifiable servings of no more than 10 milligrams in strength each. However, state-approved medical cards will give patients a break from paying some state taxes, and while recreational users have a possession limit of 1 ounce of dried flowers or 8 grams of concentrate, card holders can exceed that limit. For weed neophytes, an ounce could make roughly 30 joints. Where will the taxes go? Money was a big incentive for the state to legalize recreational marijuana. State analysts have said legalization could add up to $1 billion annually to the state coffers. Taxes from recreational marijuana sales will primarily go toward law enforcement programs, youth education programs and environmental causes, according to Alex Traverso, spokesman for the state's Bureau of Cannabis Control. Traverso says the enforcement funds are necessary because, "if the goal of regulation is to diminish the black market, you have to take a percentage of those tax revenues and put them into enforcement and get people to come online." The state has set aside funds for the scientific study of marijuana and to see how regulations are working. Another fund has been set up that will collect $50 million a year by 2023 to fund a suite of social and medical programs with an emphasis on mental health and job placement for at-risk individuals. Zeman says that this fund could help communities that have been hurt by the war on drugs. Is there any scientific standard for how much marijuana is too much to drive on? No. In California, the consequences for driving drunk and driving high are the same. But while there’s a clear blood limit for alcohol, there’s no such standard for marijuana. “Marijuana is very different than alcohol,” says Jolene Forman, a lawyer with the Drug Policy Alliance. With alcohol, impairment links strongly with the amount you’ve had to drink, depending on your weight and gender, and disappears from your blood. But, according to Forman, marijuana can stay in your blood for weeks sometimes after you've consumed it, and THC can affect people very differently, making measuring THC not a very reliable measurement of someone’s driving ability. On average, marijuana does impair driving skills for most people, especially 20 to 40 minutes after smoking, but measuring THC isn’t a good indicator of impairment. This didn’t stop Washington and Colorado from setting a THC limit for drivers, but California doesn't set a numerical limit on THC. Instead, the law says you can’t drive under the influence of any drug — period. It's also illegal to consume cannabis while driving or riding in a vehicle. Since a THC blood test won't work, a marijuana DUI conviction in California depends on things an officer observes, such as the smell of marijuana in the car or a physical sobriety test like those given to drivers who may be drunk. 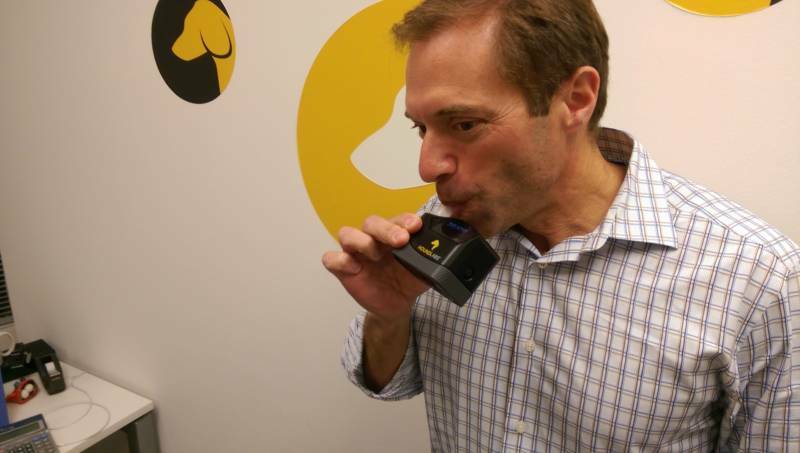 To learn more about California's marijuana driving laws, including an Oakland-developed breathalyzer for marijuana, click here. The war on drugs disproportionately affected people of color. While black people and white people smoke weed at similar rates, black people have been almost four times as likely to be arrested for marijuana-related charges. With the “green rush” knocking at California’s door, cities such as Oakland, San Francisco and Los Angeles are looking at ways to help affected communities by creating cannabis equity programs. To learn more about those programs and if they will work, check out this episode of the KQED podcast "Q’ed Up." 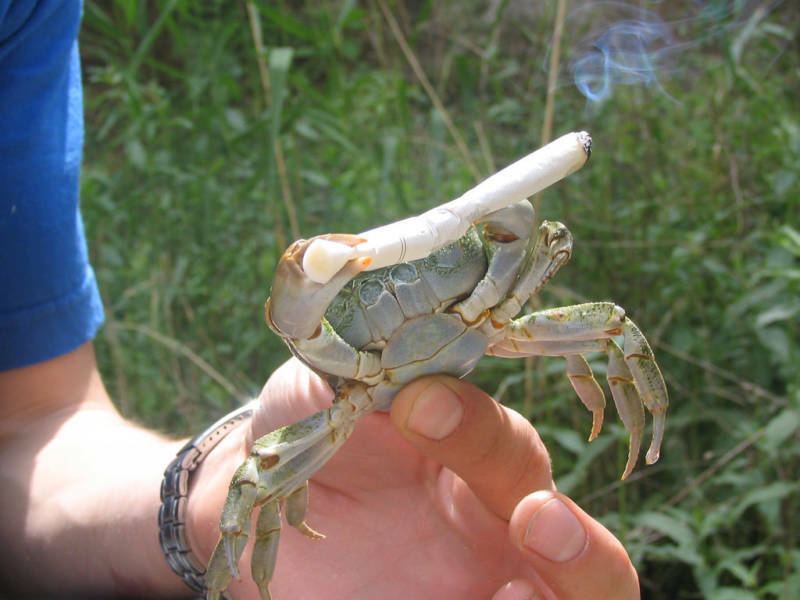 Why does the law prohibit marijuana products with seafood? "Any cannabis product that must be held at or below 41 degrees Fahrenheit to keep it safe for human consumption, including, but not limited to, cream or custard-filled pies; pies or pastries which consist in whole or in part of milk or milk products, eggs, or synthetic fillings; or meat-filled pies or pastries." "Any cannabis product in the shape of a human being, either realistic or caricature, animal, insect, or fruit"
Seafood in particular is banned because officials in the Department of Public Health are worried about food poisoning. This means no weed shrimp, no weed tilapia and no weed crab. Sorry.